My name is Cayla and I'm the creator of pankobunny! 1. Make the glaze: Place the pineapple, apricot jam and ginger in a pot and set to medium heat. Bring to a boil, then place in a blender and pulse until smooth. 2. 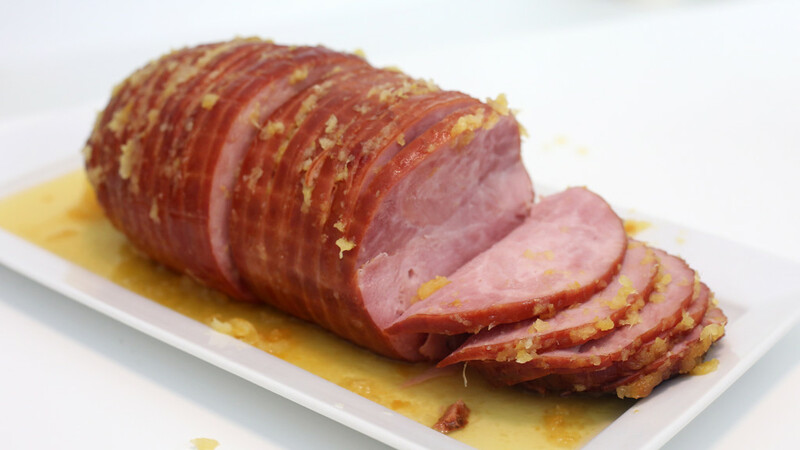 Make the ham: With a sharp knife, make thin slices into the ham about halfway down. Place in a crock pot and cover with the glaze. 3. Cover and cook on low for 4 hours. Every hour or so, baste the ham with the glaze. Cook the ham until it reaches an internal temperature of 140F. 4. Serve with the thickened glaze and enjoy!